Over the past 20 years I have witnessed the popularity of carp angling grow steadily, with seemingly ever increasing numbers of anglers on the banks. This, combined with the practicalities of everyday family and working life, means it is very important to choose the right venue to spend your angling time on, in order to have the best chance of success. Whether success means to you a new PB, seclusion and relaxation or constant action until your arms ache. In this article I will try to outline my approach when considering a new water to fish, not only to help you select a water suitable to your experience, but also as part of the process for researching a water before you begin to fish. The goal of this article is to maximise your chance of success. These are arranged in the terms of priority (my priority that is), which may differ, depending on what you are looking for in your angling. Like I said earlier, success can mean different things to different people. For me, stock is the most important element of selecting a new venue. The fish have to be special so the reward justifies the effort; this doesn’t necessarily mean the fish must be monsters however. My wife and I had our first child in late 2016, putting a serious limitation on my fishing time and causing me to adjust my sights a little. For the past few seasons, I had been targeting a large fish living in a very tricky Reading water. The odds were always long and when this fish sadly died and with my time being further restricted, I opted to move my sights to a water with a larger stock of beautiful scaley fish to upper 30’s in weight. Whilst there was no monster in there, the water fitted my circumstances perfectly at that particular time and gave me a realistic chance of a few good fish during the season. A scaley mid twenty mirror, size is not everything! In the past I have usually stumbled across new waters by seeing pictures of a particular fish and then researching its home, from this information you can understand whether catching it is a practical proposition. The best way I have found to determine this is to be on the bank with other anglers; however social media, magazines, books, web sites and your local angling shop are also great sources of information. Do keep in mind though, that if a lake contains something special, its anglers may not be too forthcoming. Sometimes you cannot beat opening google earth and exploring a bit. Then, of course, there is the opposite to this in commercial day ticket fisheries where information can be easily found and there are usually bailiffs who are more than happy to give you all the information you could need. So, when choosing a water, consider what it contains, whether this means numbers, appearance, strain etc. Choosing fish to angle for that excite you should always be the main objective. Now this may sound obvious, but a lake’s situation is crucially important if you are going to be successful. There are several related areas I would consider before deciding to fish a new water. This is probably the most obvious but is also critical. If you are targeting a particular fish or type of fish, it is likely you will end up needing to travel. Whilst there are fisheries across the UK, the majority of the big fish waters are in the south of the country and most of these are gravel pits which are grouped based on the locations of historic aggregate excavation. Many anglers travel hundreds of miles to gain access to these types of waters, which is a major commitment if you plan to do this regularly. Consider also the consequences of arriving after dark in certain months, fuel costs and so on. More importantly, if you want to be really successful at a water, I believe the key factor is regularity; the more time you spend at a lake, the more you will catch. This comes back to the adage ‘time on the bank is never wasted’. Even if you are not able to fish, baiting and observing are crucial elements to successful carp angling, as is knowing where the fish were in the days prior to your trip. This will give you a head start on the other anglers and pre-baiting an area puts you even further ahead. To give you an idea of how important this is, I have driven from the South West to Reading on a Friday morning before going to work in Coventry, just so I could see the morning shows and know where to start on my return that evening. 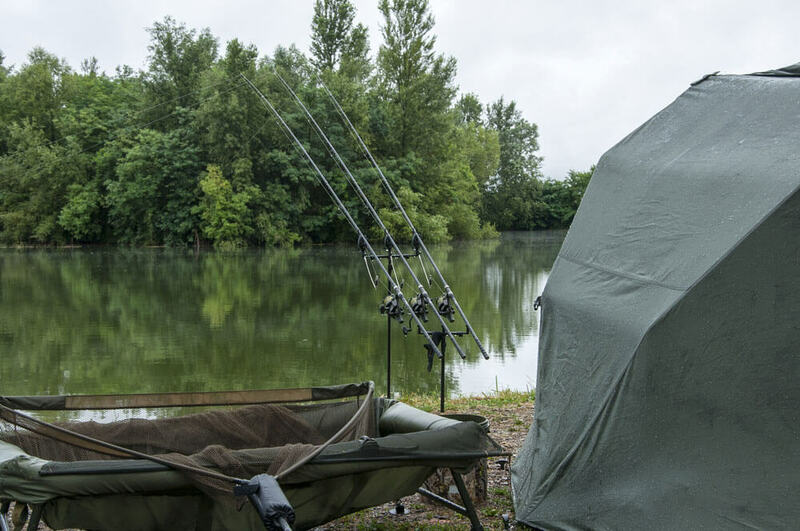 It might sound crazy, but if you end up guessing the carp’s location on a Friday afternoon when they aren’t feeding, you may well find you wasted half your weekend when they show themselves on a Saturday morning. Convenient location for regular access, if a little noisy! The venue doesn’t have to be local to you. Most of my angling has been around a 90 minute drive from my home. However, the venues are on routes that I travel regularly for work, so travelling in that direction on a Friday is possible and I can have a quick walkabout when it suits. Access or Venue type is usually the next thing to consider, if I have found a water that has caught my attention and it isn’t out of reach geographically, then the next question is whether or not you can gain permission to fish there. There are five main categories of water in the UK you will likely come across, I’ll just touch on them briefly. Club waters – these have made up the bulk of my fishing over the past decade and are wide spread across the UK. Generally an angling body will acquire the rights to a water or waters and then sell tickets to fish them. Access is usually easy and ticket numbers not limited, some ask for a membership and day tickets, whilst others only require an annual subscription. In my experience they are less closely managed than syndicates and you will see fewer familiar faces, although often the same regulars emerge. Syndicate – common for more exclusive waters with bigger fish or more space. You may never hear about many of these waters due to privacy rules. Access may be by invitation from an existing member, approval by committee or vetting/ references. There is usually a waiting list for access to desirable syndicates which can span many years, so it is worth putting your name down as soon as possible, for a nice surprise for the future. A benefit of syndicates is that you will become friendly with the other members, there are usually social events and work parties organised, giving a sense of involvement and community. On the other hand, they can also be ‘‘cliquey’ if you do not fit or do not respect the other members. It is worth remembering this if joining, as you will see the same few faces each weekend. Thankfully, in my experience the other members improve the entire experience (on the whole…). 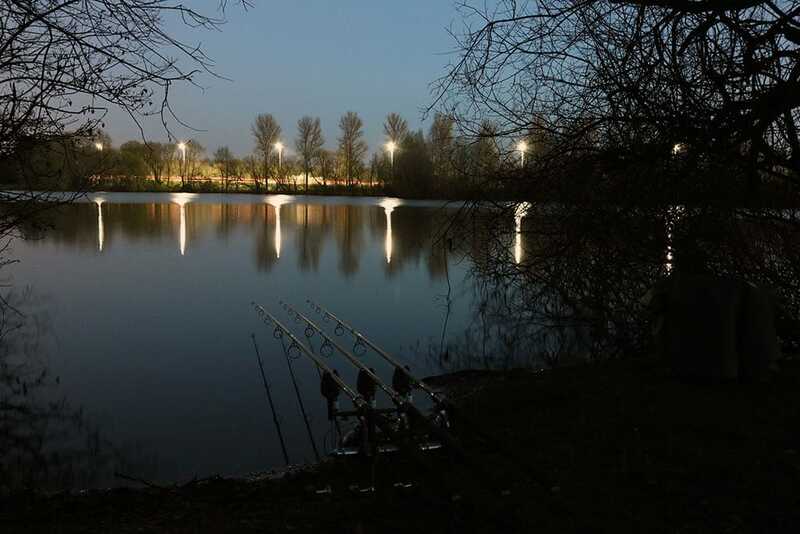 Day Ticket – These are open access waters and attract a wide range of anglers, I did a lot of angling on day tickets when I was young and there is some excellent fishing available, with very large fish, which anyone can fish for. The down side is the competition for space, if you plan to arrive at one of the large complexes on a Friday afternoon and choose a favourable swim, you may be sorely disappointed. Etiquette can be lacking and I have witnessed some very poor angling on popular day ticket waters. That said, they do offer anyone access to some of the best fish in the country and, although expensive if you fish limited weekends, it may work out similar or less than a syndicate ticket. Free – Waters with no restrictions to angling, provided that you hold a valid Environment Authority licence. Often applies to park lakes and canals/ rivers. There is some excellent angling out there, just for the cost of a rod licence. Private hire – These venues can be booked by a party of anglers for exclusive access, for a period of time. There are many in the UK, generally available for weekends or mid-week bookings. The history of a water and its stock should also be considered. The fact a fish has been publicised for years can make it desirable. I remember growing up and reading stories of certain fish and actually fishing for or catching them made the experience even more exciting. I distinctly remember holding a fish pictured in Terry Hearn’s first book and thinking ‘Terry held this!’ Silly I know, but it made it feel more special! We are at a time when the generation of fish I grew up looking at (I am 35 now) have largely gone and the opportunity to fish for the old ‘history fish’ is slipping away, both myself and close friends have had their target fish die of old age. They won’t be around forever. Of course there are new fish coming through but the legacies held by some of the old school fish is very hard to replace. What can be found in the public domain will depend largely on the venue. As I have said earlier, there are waters with tens of thousands of words published about them. Some even have topography maps available or catch records from previous successful anglers. On the other hand, there are many venues that you will find little or no information about, often because websites are out of date or non-existent, which can be off-putting to the untrained eye. Of course, this could also be the sign of a hidden gem. Research is absolutely key to successful angling. There will be successful approaches to all venues, each slightly different and understanding these differences will stand you in great stead for being successful with your own angling. With this said, in the end there is no substitute to going out there and doing it, walking the banks, meeting other anglers and fishing for yourself. The difficulty of the venue is a biggie and no matter how experienced you are, there will always be a water out there which challenges you in new ways. It is important to know what you are getting yourself into and what you want to get out of a venue, when selecting a water on which to focus your efforts. Stocking levels are the first item to consider. You can think of this more as density, the number of fish divided by the size of the lake will give you a very rough idea of difficulty. As an example, Wraysbury 1 had around 25 known carp in 120 acres, or 1 fish for every 5 acres. At the other end of the spectrum Manor Farm at Linear has something like 600 fish in 12 acres, or 50 fish per Acre! So it’s obvious where you have a better chance of catching. But of course if you are excellent at locating fish and the entire stock is in front of you, the size of the lake becomes irrelevant, so there are multiple considerations for every factor. Your experience and confidence is important when approaching a water with lower stock. If you are less experienced or not confident in your approach you will struggle to learn. A lack of fish means feedback is minimal and if you start to doubt your approach you may tie yourself in knots changing things trying to make it happen. It makes more sense to hone your skills on easier waters and only use approaches that you have full confidence in, especially when approaching more difficult venues. The time you have available and your aspirations are also key; if you select a large, unknown venue, you should be willing to put a lot of time into the preparation (laying the foundations). Many of the best anglers I know fish 2-3 nights a week, and more around peak times (that’s a different article). This is necessary on some waters and you should also not forget that you may well be competing with guys like this on some venues. As I said earlier, setting your sights on something achievable is important, whilst challenging yourself to keep it interesting. The type of lake should also be considered. There are several different types, but generally speaking UK lakes are manmade, either as a by-product of extraction of materials for the construction industry (Clay, Sand, Gravel or Flint pits), for recreation (such as park or estate lakes) or for functional purposes (such as reservoirs). You also have canals and rivers which can offer excellent fishing throughout the UK and are often overlooked. You also need to think about your angling ability and what capabilities you would like to develop (assuming you want to). For example, if you have previously fished mainly estate lakes, which are typically silty with few features, except perhaps visible ones such as islands, lily pads etc., you may find yourself completely overwhelmed when approaching a large open gravel pit requiring detailed feature finding and accurate fishing at range. Exactly how to approach each type of venue is a whole different subject but knowing what you are getting yourself into is a good idea. The season that you plan to fish is also worth considering. You may not fish a venue year round, I usually have different venues for the summer and winter. Life is too short for sitting it out on a bleak, wind-swept pit in January, with many weeks since the last capture. I will usually select an easier venue for the winter. Shallower waters are more quickly affected by mild spells and a few days of decent weather can spur the fish into action. Also a higher stocking density will improve the chance of a bite when there are very few signs to go on. Larger and deeper lakes take longer to warm up, so they usually respond slower to the seasonal changes and won’t produce fish until later in the spring. Membership level and angler competition are also important. It seems silly, but usually other anglers present more of an issue affecting your success, than the fish themselves. Either because there are too many of them or because they have more time than you. Competing with other anglers can present serious issues to your fishing. In my experience there are two types of angler; the weekender who is keen but has other commitments restricting their time. They must be opportunist and try to react to what is in front of them, to be successful. Then there is the second group who spend far more time at the lake (2-3 nights per week), baiting areas and repeatedly fishing the same swims. Lakes without rules to manage this can be tricky; it is frowned upon and considered bad etiquette to jump on someone else’s success on a club or syndicate and can cause friction. If you have limited time, you must fish for whats in front of you; can you see the dilemma? Of course on day tickets this is less of an issue due to angler turnover and where finding a swim can be more of an issue. Some waters take this to the extreme where anglers start in the spring and by the summer will have ‘their’ swims. In such waters it would be very difficult to arrive in the summer and not upset people. This is not always the case but should be kept in mind when approaching a new water. Some lakes still operate a ‘closed season’. Traditionally this was March 31st – June 16th, although since 1995 this has been optional on still waters and canals, which is appropriate as the fish often spawn after June 16th anyway. Most lakes now have a more relaxed approach, closing when the fish spawn, to rest the water for a few weeks. Some lakes also have areas that are inaccessible, adding to the challenge but also stacking the odds against you. There may be large sanctuaries where the fish can be located without danger of capture or just safely out of casting range. Some lakes apply strict rules to tackle or anglers; these can be in the interests of fish safety which is completely acceptable but can also appear overzealous. For example, I fish a water with swims less than 10 yards apart in places. You will be reprimanded if in the neighbouring swim with your rods out. On other waters the bailiffs don’t give a monkeys, provided you’re not fishing near snags or something of danger to the fish – I’m not promoting dangerous fishing here, just highlighting the point that some rules may suit better than others! These are the factors I consider when looking at waters, as I have said my time is limited and I want to get the most out of the fishing I can do. Each person will undoubtedly have their own priorities and there is no substitute for getting out there and having a go! Hopefully you have found this informative, and it will assist you in your angling.